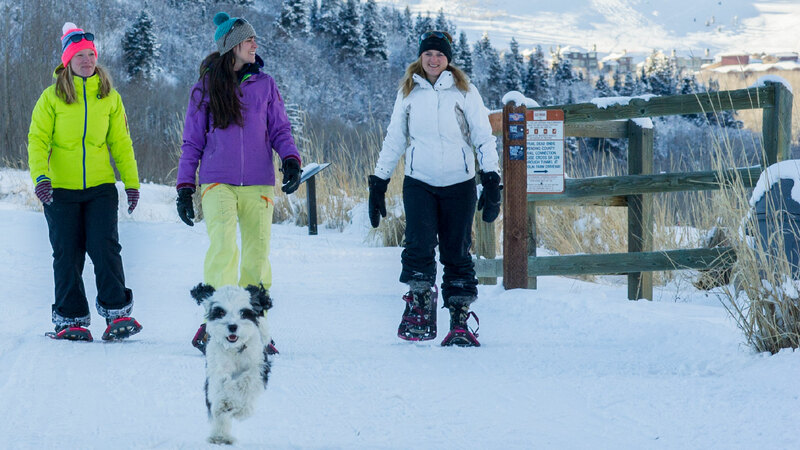 Our local snowshoeing tours are great because they're close to town so they're easy to fit into your day, without taking time away from what really brought you to Park City. You can grab lunch before or after, and you could even ski in the morning and then mix it up with a snowshoe tour in the afternoon. We customize each tour for you and your group, based on your interests and ability levels. There is a big variety of snowshoeing terrain in Park City, ranging from groomed paths to steep mountain slopes, with everything from evergreen glades to wide open meadows and rolling hills. There's something for everyone, but the choices can be overwhelming without some local knowledge. Let one of our professional guides make sure you get exactly what you're looking for. Prior to the day of the tour, your guide will contact you to find out what sort of experience you're looking for and to plan a route accordingly. It's that personal touch that makes our snowshoeing tours a true local experience, and keeps people coming back year after year.